You’re playing a 9 handed $1,000/$2,000 cash game sitting in middle position. You raise three times the big blind with KQ of clubs and the big blind calls. The flop comes K44. 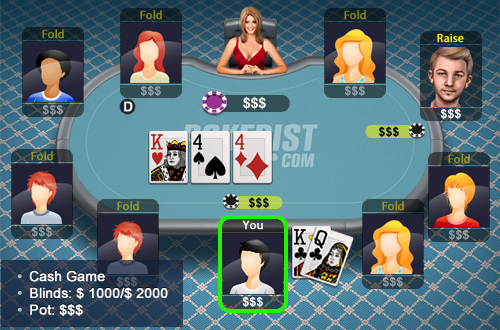 Your opponent checks the flop, you raise and he re-raises.